You can use Pay Per Click Advertising to effectively gain traffic to your Web site. Pay Per Click Advertising is the process of placing ads on search engines like Google and Yahoo!. Your ad appears beside relevant search results. Which means when people search on Google or Yahoo! 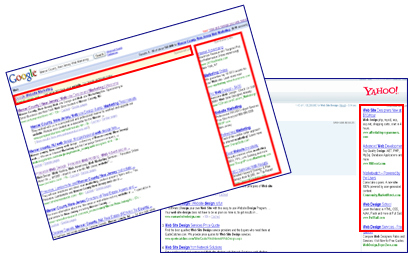 using one of your keywords, your ad may appear next to the search results. People can simply click your ad and are sent to your web site. These ads are also called pay per click or PPC ads because you pay only when your ad is clicked on by a potential customer who is then directed to your Web site.